Muthuvalli has successfully raised funds & reached the goal amount. We thank all the 643 generous supporters for their kindness. 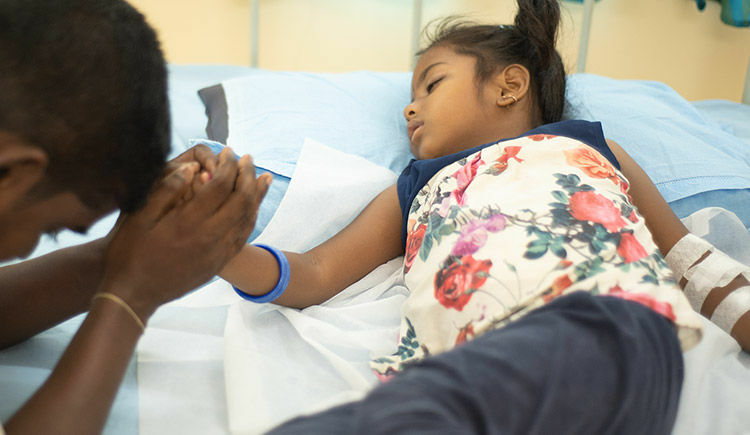 Family of fisherman can’t afford expensive bone marrow transplant for daughter ! Two years back we reached a point where suicide seemed the only option for all of us. Everyday we kept sinking deeper and deeper into depression for not having enough money to get our daughter treated. She says, “Amma, why are you going around asking for money? It doesn’t look nice.” How can we tell her that we don’t own enough to get her cured ? It shreds our hearts to pieces. My daughter is suffering from Thalassemia major and needs an urgent Rs Rs 9,40,000 ($ 14,462) for a bone marrow transplant. Being a helpless mother of an ailing child tears me apart every day. 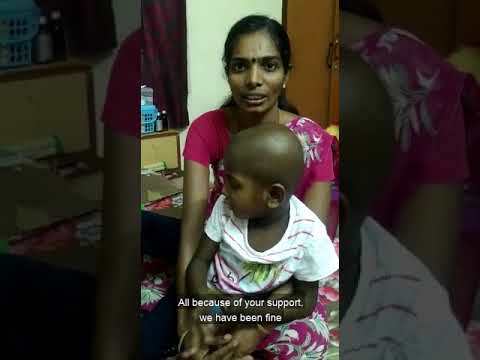 I am Muthuvalli, and my 6-year-old daughter, Vinisri, has been suffering from the time she was born. She was diagnosed with Thalassemia major three months after her birth. 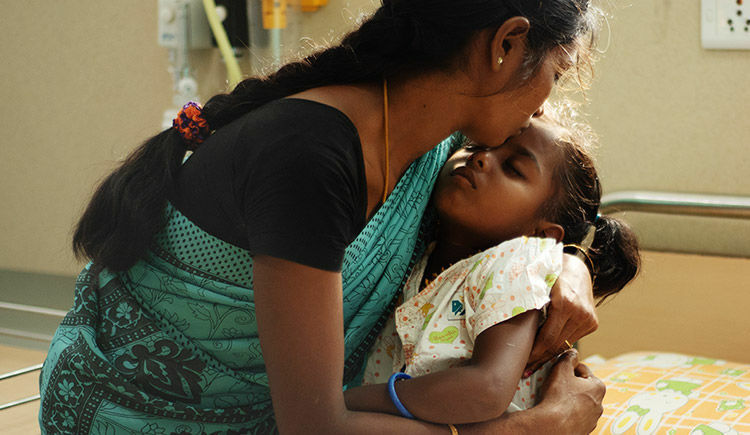 Her temperature rose and the cold persisted so we took her to a local doctor in Karaikal. After which we’ve been to more than three hospitals from Karaikal all the way to Pondicherry and now even in Chennai. From the age of three months to this date, we travel back and forth for a few days every month for her blood transfusion. We are currently getting her blood transfused in VHS hospital in Chennai and her treatment will take place in Apollo hospital, Chennai. My husband, Anbazhalagan, is a fisherman and is the only breadwinner of the family. Monthly income is about Rs 4,000 depending ($ 62) on the catches, and there is no other way of income. We do not have anything of value to sell and afford money for our daughter’s treatment. Vinisri studies in class 1 in a government school. We have no other avenue left to arrange for Rs 9,40,000 ($ 14,462). We are asked to pay the amount as soon as possible to start the treatment. We truly need your help. Feel free to ask Muthuvalli for a new update on this Fundraiser. You have gifted my daughter a new childhood. Her health is improving gradually and she is more active than before. We live close to Appolo Hospital, Chennai as we need to take her for health check-ups when required. Apart from this, she is having her daily medication to fully recover. Our daughter's smile is back, all because of you. Please view the recent video message that I have posted. Thank you. Your support keeps motivating us to fight this battle. All thanks to your support, Vinisri underwent a bone marrow transplant. Even since this treatment, her health tests have shown a significant drop in her blood count. Her WBC is 42, hemoglobin is 6 and the platelets are 50. We had to give her a blood transfusion when her counts had lowered to another level. We are giving her daily medication in the hope that she will cure soon. Thank you for your support once again. I will update you with more information soon. Your message will be directly emailed to Muthuvalli and you will receive his/her response on the email address entered below. Your message will be directly emailed to Vinisri and you will receive his/her response on the email address entered below.